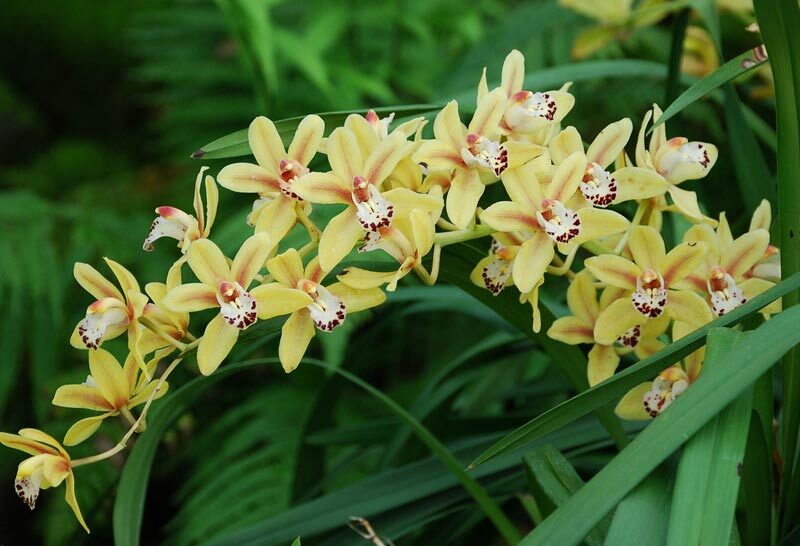 The golden rule for orchid success is to duplicate the plant’s natural conditions as closely as possible. 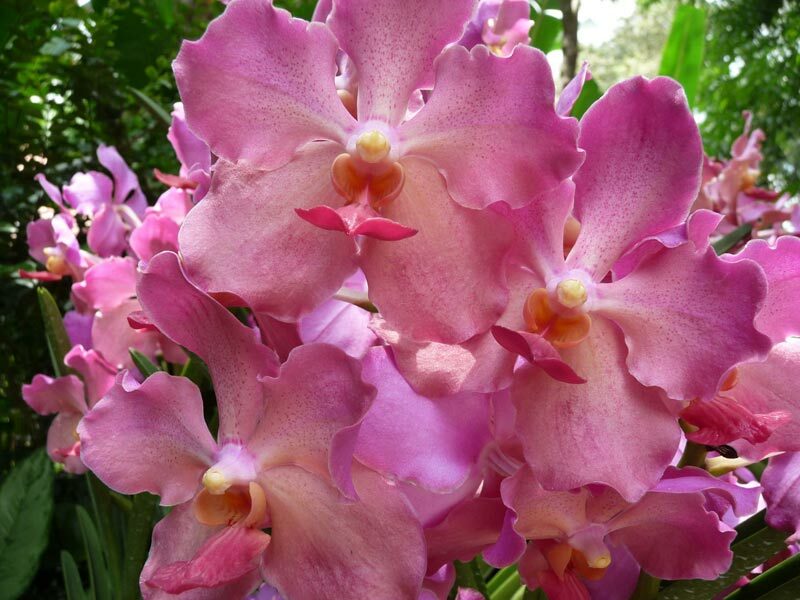 In nature, most orchids are epiphytes, meaning they grow on other objects, clinging to rough bark or even stone. 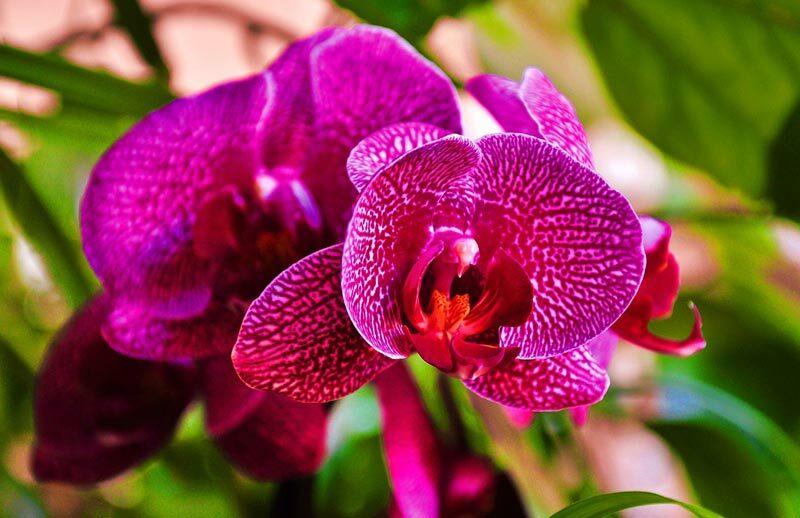 The showy orchids favored by most people are usually either phalaenopsis hybrids (so-called moth orchids) or dendrobium hybrids. Most store-bought orchids come packaged in cheap plastic pots with the roots packed in soaked moss. Obviously, this violates two of the main rules of successful growth. There is no air flow around the roots, and the roots are never given a chance to completely dry out. Thus, the plant cannot breathe and root rot is inevitable. 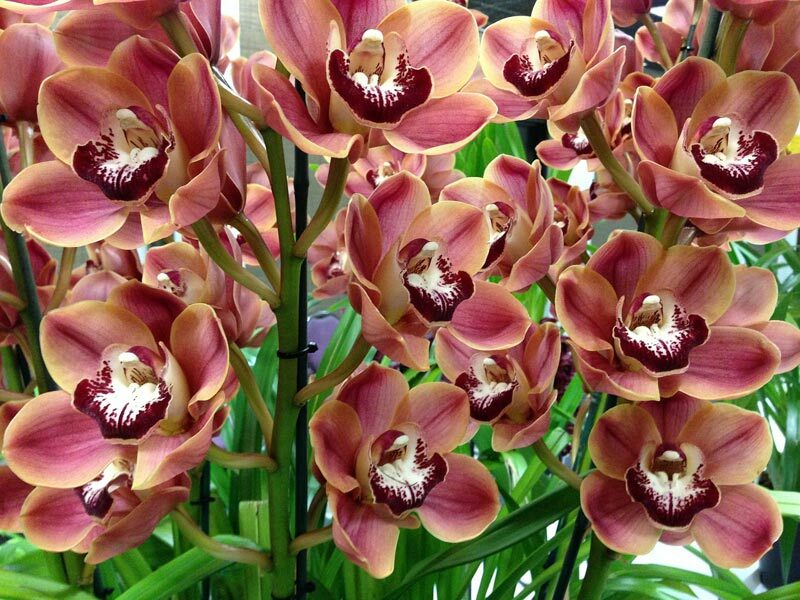 Orchid roots are highly specialized organs designed to soak up water very quickly and breathe. They do not extract nutrients from soil. 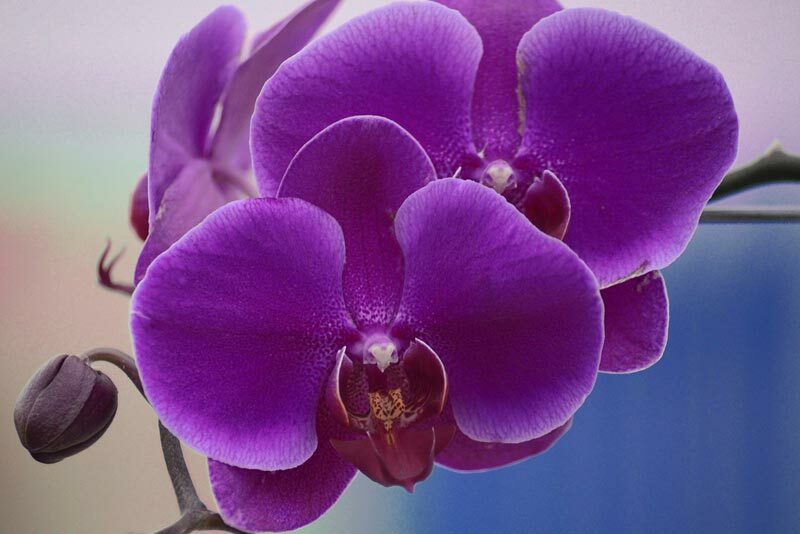 The first step with any store-bought orchid is to enjoy the bloom. Don’t attempt to repot a flowering plant. 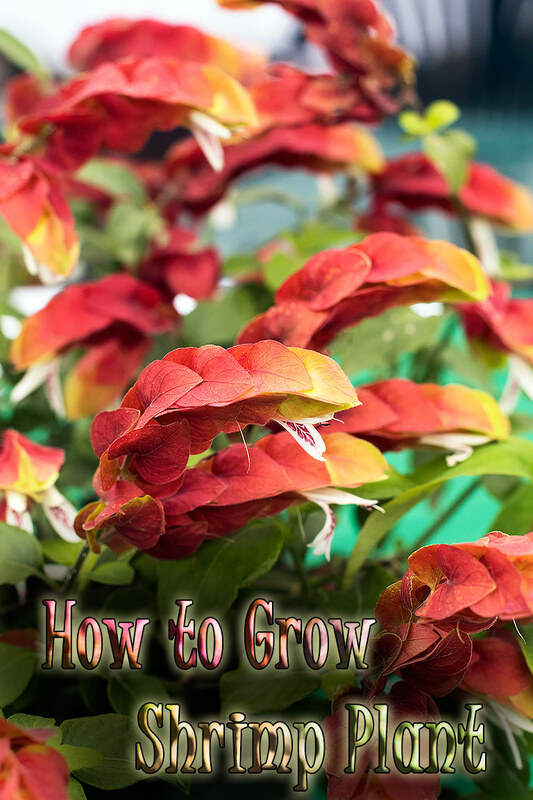 After the bloom is done, go ahead and cut off the dead flower spike with sterile snippers and repot the plant. 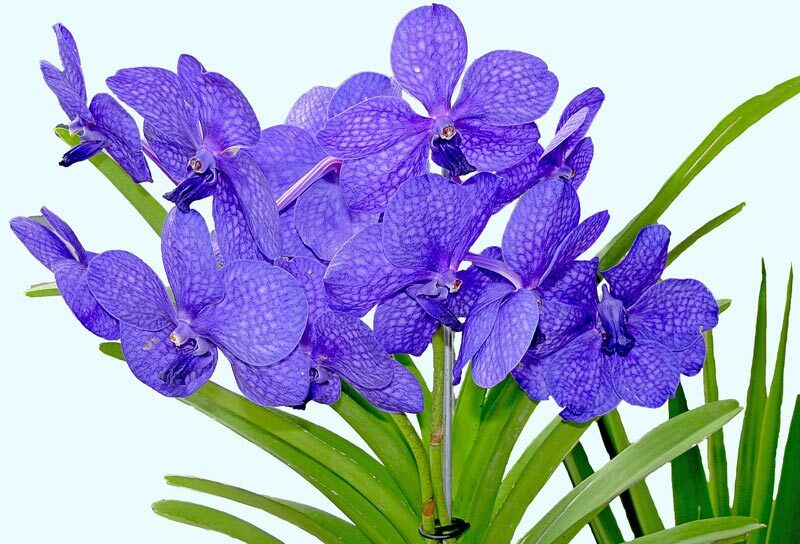 Orchids should be potted into specialized orchid pots in orchid mixture. 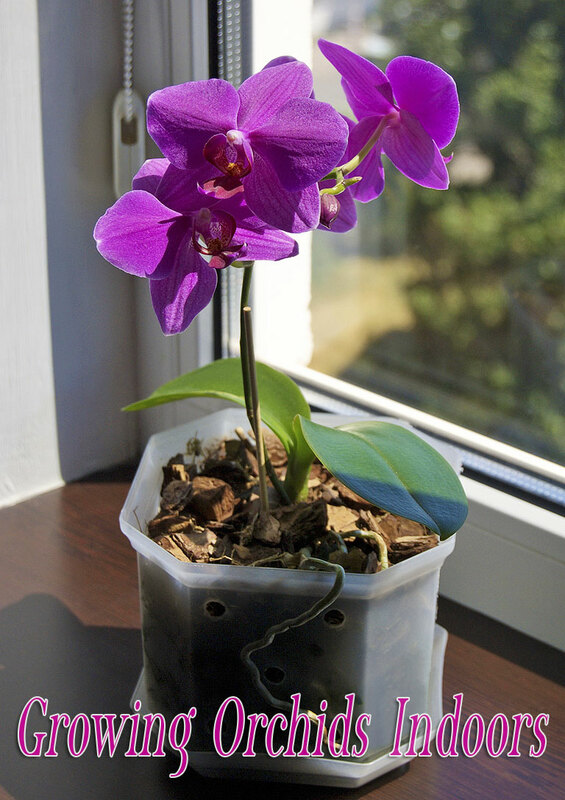 Orchid pots feature wide drainage slits so water will literally run through the pot. They are widely available. Orchid potting mixture is usually composed of several chunky ingredients, including pine bark, charcoal, and even styrofoam. Remove it from the plastic pot and carefully remove as much of the moss as you can. Healthy roots should be white and firm, with a small green growing point. 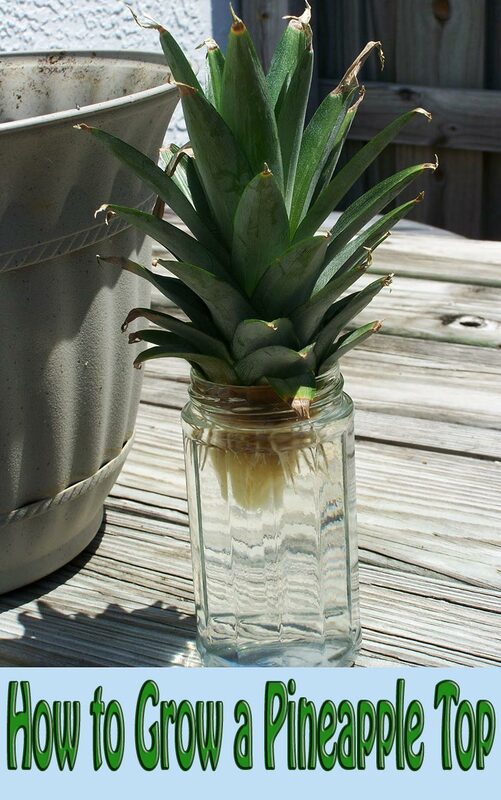 Cut away any shriveled, rotten or blackened roots. Set the plant into the pot and fill in around it with potting mixture. The plant should be firmly situated, but it will not be completely anchored. Eventually, new roots will grow through the potting mixture and attach to the pot itself, thus anchoring your plant. Once it’s repotted, find a good spot. An east facing window with a few hours of mild morning sun is perfect. To provide the necessary humidity and catch run-off water, put the plant into a wide, deep tray and fill the tray with gravel. Caring for your orchid is pretty simple. During the summer months, water it weekly and heavily. Let the water drench the roots and fill up the pebble tray (this will provide extra humidity). It doesn’t hurt every so often to even put the plant in the kitchen sink and really soak it down. Don’t worry, you won’t kill it as long as it’s allowed to dry out afterward. 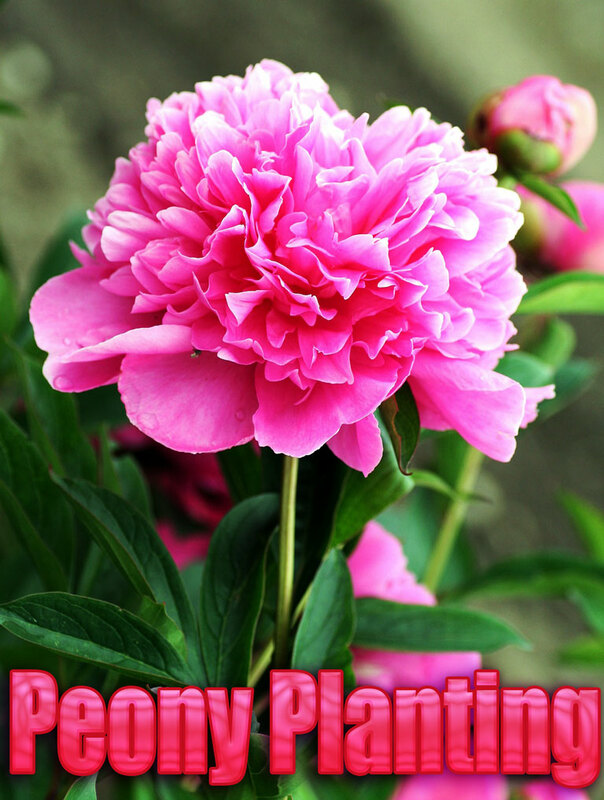 During the growing season, feed it weekly with a weak solution of a powder or liquid fertilizer. Many growers use Peter’s 20/20/20 fertilizer at quarter strength. In the winter, keep your plant warm and cut the water back to once a month or so. Mist it every so often to make sure it stays hydrated. Don’t fertilize it. If you see signs of distress, such as yellowing leaves, wrinkled leaves or no blooms, move the plant and keep tweaking your conditions. 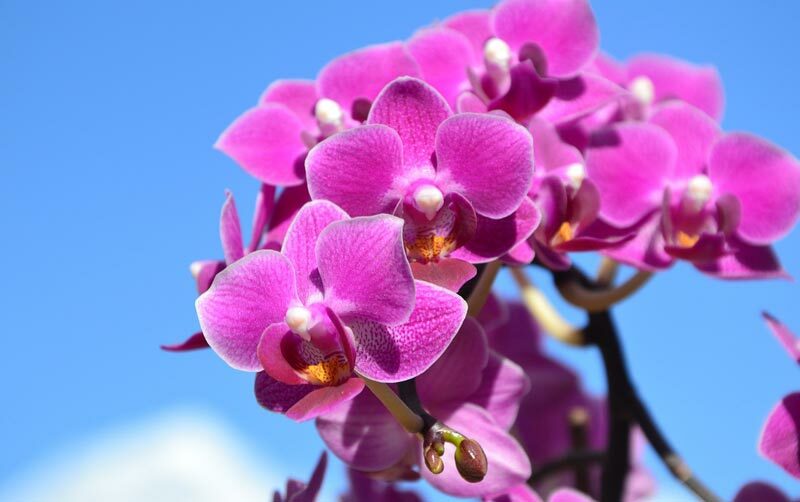 Once an orchid finds a happy spot, and falls into a routine, the plant should regularly throw out new roots and leaves or canes (depending on the type) and reward you yearly with a beautiful bloom. I received my first orchid for Mother’s day, 2018. I needed information on caring for it. Thank you for sharing through this site.